Welcome back to the Strategy Workshop! The title of this installment is “Rock, Paper, Scissors”, but before that here’s a quick recap of what was covered last week. There are two aspects of strategy in League of Legends: picks and playstyle. Picks strategy can be said to be what your champion picks naturally lend themselves to doing well while playstyle is how you actually try to play with your composition. For good results it is imperative that there is no disconnect between the two. In other words to be successful a team needs to play to the strengths of their composition. I won’t be going into further detail regarding these so I’d advise reading Strategy Workshop 1: Types of Strategy for more information. The eagle-eyed among you may have noticed that, in addition to the names I gave those strategies last week, I have also given each a new name in brackets. Some of you may have already put that and the title together and deduced what this article will be about but for now let’s move onto talking about rock, paper, scissors. Everyone knows the game rock, paper, scissors: rock beats scissors; scissors beat paper and paper beats rock (from now on I’ll refer to it as RPS). The key feature of an RPS interaction is that they are cyclical in a way such that no individual element has any inherent advantage against the whole group (though will have advantages/disadvantages against individual elements). RPS interactions are also very important in gaming. In particular the problem of balance relies very heavily on RPS interactions, though that is an entirely different discussion. When you look for them you can find RPS interactions everywhere in games. The easiest example is Pokémon. At its most basic, Pokémon is little more than an elaborate game of rock, paper, scissors. Another, somewhat old-school, RPS interaction is one in trading card games. It isn’t rock, paper, scissors. 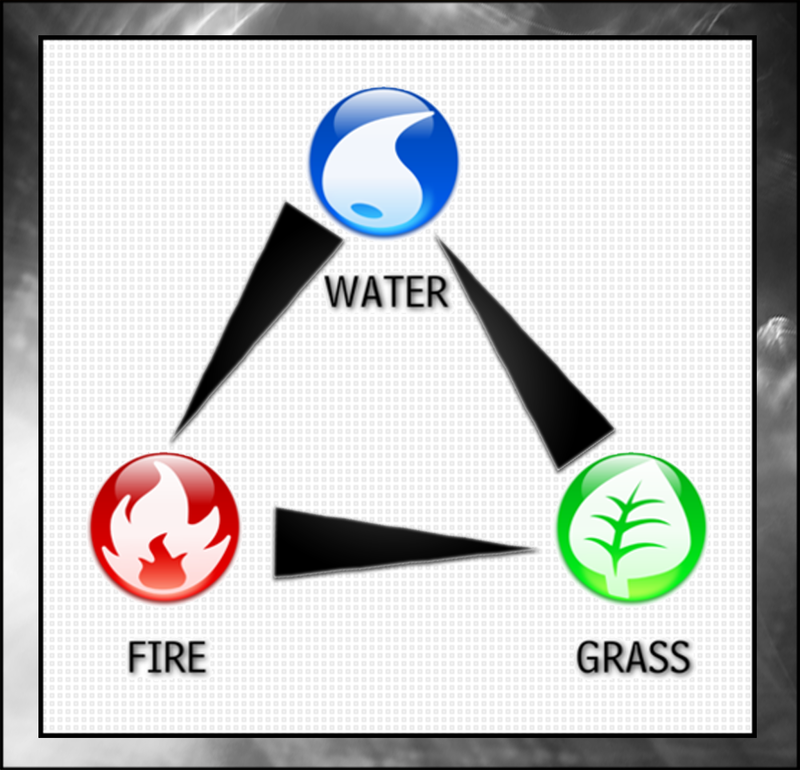 It isn’t fire, water, grass. This one is combo, control, aggro. This is a theory that spans multiple TCGs: Hearthstone, Magic: The Gathering, Yugioh, etc. Combo, control and aggro are the three overarching strategies that decks (and indeed cards) are be best suited to. Combo relies on strong multiple-card combinations to win (often one-turn kills). Aggro overwhelms the opponent with multiple, strong, fast attacks. Control shuts down the opponent’s options while slowly building up their own win condition. Combo has an advantage against aggro because the blind aggression of aggro doesn’t have anything to stop the combo. Control has an advantage against combo because it only takes stopping one card and the whole combo falls apart. Aggro has an advantage against control because, unlike combo, stopping a single card doesn’t affect it too much. Disclaimer: I have vastly oversimplified this for the sake of this article, please don’t be mad at me TCG aficionados. By now you probably have a good idea where I am going with all this, but I will say it straight out anyway. The combo, control, aggro RPS interaction can be applied to League of Legends strategies very easily. Not so easily that I won’t have to explain it, however, so that is what I’ll do next. Now the actual interaction, in terms of who beats who, is the same as in the TCGs: Combo beats aggro; aggro beats control and control beats combo. It’s worth noting that I say “beats” when in reality I should be saying “has an advantage against”. As I mentioned briefly in the last article, in addition to strategy, individual skill and teamwork also influence the victor so it isn’t cut-and-dry. This is the combo vs aggro matchup, where combo has the advantage. In League combo refers to a teamfighting combo, 5 champions that synergise together to be unbeatable in a 5v5 fight. Pick on the other hand is all about catching out one or more opposing members and killing them, giving them a man-advantage on the map. Now, why would teamfighting have an advantage there? Simple, you can’t generate picks when a team is grouped (or at least it is very very difficult). At the same time pick comps tend to be weaker in 5v5s (the classic weakness of assassins). This sets the stage for the teamfight composition to just group and force fights in front of objectives. This is the aggro vs control matchup and is one of the most bloody. Where pick just wants to catch you out and kill you, control wants to split you up, stop you getting fights and take your turrets. Sounds even? It isn’t. Control strategies make heavy use of splitpushing and rotations between lanes, both of which are perfect opportunities for the aggro team to find a pick. Even if control moves to a 5v5 siege they have trouble. Though aggro can’t stand up to combo in a 5v5 fight it is well suited to beating control, picking a poke-siege composition is normally a stellar way to have appalling teamfight potential. Then there’s the types of champions they play. Have you ever tried playing AP Kog’Maw into an assassin, let alone an assassin with an aggressive jungler? The phrase to best sum it up is “hell on earth”. Though control can normally disengage from a teamfight (combo) comp well enough, it has trouble with aggro. It may sound counter-intuitive but often aggro has stronger engage than combo, too strong for the disengage of control to handle. The stronger (and longer distance) the engage the easier it is to get picks (think Twisted Fate). In addition aggro comps are more mobile and tend to have more front-loaded damage than combo comps, both of which make a safe disengage harder. Control vs combo. When Korea first appeared on the world stage this is what they used to win all the time. At the time the West was in a teamfighting meta, then came along Korea who just wanted to take turrets. The problem was that teamfight compositions are open to huge abuse by the splitpushing, sieging and rotations of control compositions. It all hinges on disengage. The whole idea of the control strategy is to prevent themselves getting engaged on. Unfortunately for a combo strategy, if they can’t get the fight they can’t do much. This leaves the door wide open for them to get walked over by the control team. Control is able to take complete advantage of all the trade-offs combo makes for it’s teamfighting power. Low mobility? Out-rotate. Low-waveclear? Siege. No sustain/counterpoke? Poke. Can’t engage? Splitpush. Control strategies are often varied and have a number of options, against combo it’s like having a whole armoury to choose from against a rubber knife. Season 2 was about combo; Season 3 was about control and Season 4 was about aggro. But what about Season 5? Well seasons 2-4 were when the macrostrategies were still being discovered/perfected. They were naturally played because they beat what was played before. This season though, all teams have all three strategies in their toolbox (at least in theory) so there isn’t really any best one to play anymore. If you can figure out which your opponent will play then you can just pick whichever beats it. In theory. The problem is that it isn’t that simple. Today I’ve presented a nice, shiny, well-ordered theory of looking at the RPS interaction between the macrostrategies. The reality is that it isn’t anywhere near as neat as I have presented it as, but that is a discussion for another time. Next week: Strategy Workshop 3: Depth vs Breadth.